I’ve started to wean myself off my meds a bit since I’ve been feeling better. I accidentally forgot two lunch doses of my B6 and Unisom and felt OK, so one day I skipped them altogether. I did feel a bit more nausea that day, so I’m sticking with a breakfast dose for another week at least. I just hate the thought of ruining a dinner or day with sickness if I have a medicine that will completely prevent it. And I keep reminding myself that my doctor felt completely confident in their safety. A month ago, I was sleeping 9 hours a night – sometimes more. Luckily I’ve got a job that allows for sleeping late! I think being able to sleep well at night meant that I didn’t experience some of the constant fatigue many women do in the first trimester. I only felt the need to nap a few times, and slept for 10-20 minutes – nothing major. But all of a sudden, insomnia has hit. I probably shouldn’t call it insomnia because I’m not to a point where I’m counting sheep at 3am, but whereas I used to sleep soundly through Matt’s 6:30am alarm clock, I’m now waking up every morning when he does and can’t go back asleep. Yesterday it was 5:30 when I woke up to pee and never went back to bed. So yesterday at least, I felt fatigued all day long. I’m not sure if this change in sleep has to do with hormones or me weaning myself off the Unisom. 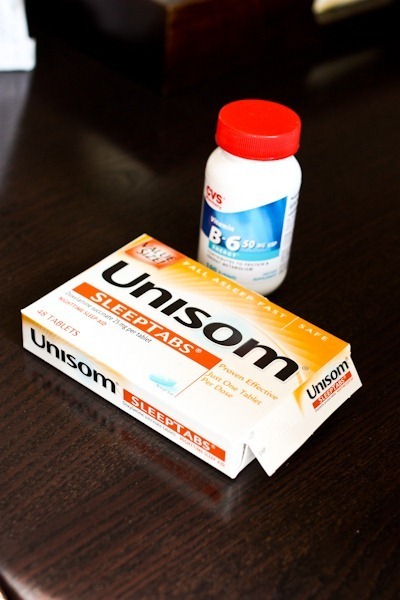 Unisom is marketed as a sleep aid, but I haven’t felt drowsy at all while taking it. Something else about it helps with the nausea. My doctor also never mentioned anything about dependency, so that never crossed my mind until now. But the morning I experienced the most insomnia, I had not taken any medicine in 24 hours – the longest in weeks. So it could be related to that. I’m not sure if I should keep taking it or wean myself for this reason alone! But regardless, I don’t think I’ll be taking it much longer. Hopefully my body will adjust. Speaking of getting up in the night to pee, that has also started occurring! I NEVER get up in the night – unless I chug a lot of water before bed, which I don’t normally do. But at around 10 weeks I started getting up about 5 out of 7 nights a week to go once. I hear this only gets worse as the uterus gets heavier and heavier! Although I have gotten up less this week than I did last week, so maybe my uterus is moving up and that will get a little better – at least for now. So glad you are starting to feel better! I went through a phase for a few weeks too where I was waking up at crazy hours and couldn’t go back to sleep. Luckily that went away for me in the 2nd tri, but it is creeping up again now at 27 weeks. So unpredictable! The bright side (if you choose to see it that way??) of getting up to pee in the night is that it definitely helps to program you for waking up in the middle of the night for the baby when he/she comes! I’m not sure when you go back to sleeping normally…if ever (I know I am not and baby is 6 months and sleeping through the night mostly). It’s all SO worth it for the little being that is about to grace your life though! Oh, man, the middle of the night peeing started for me around week 7 or 8, I think. I’m up at least 2-3 times every night now! Crazy. I had an appointment today and the baby was way down low, so maybe he/she just likes using my bladder as a water bed. Oh insomnia is awful. 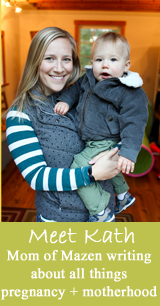 Lucky your job let’s you start work later on, especially now baby kerf is on board. Are you practicing as a RD? It must be nice to be able to book in your clients in around your own schedule – perfect as you get further on in your pregnancy. Oooh lucky you! Sounds like a nice cruisey work situation for you then. Not too busy or stressful! Thank you again for all of this info! I can’t tell you how happy it makes me to know that you are a knowledgable resource and so informative! hahaha. 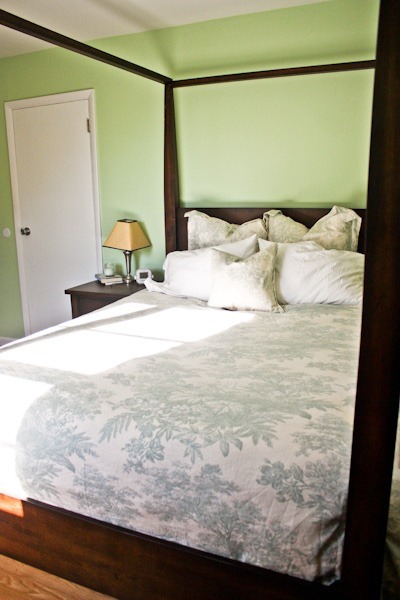 getting up once a night to pee? Those are the days of my dreams now…. I thought the night time peeing (and peeing frequently in general!) would get better in the second trimester too but I’m still getting up to pee at least once a night, usually twice! Plus I still have to go first thing in the morning when I wake up. I do not really decrease my fluids in the evening though because I’m so thirsty it’s not really an option! Back again from camp 39 weeks and 4 days….I’ve only been up multiple times a night in the past 2 weeks…hopefully you will have the same fate..it’s ridiculous though now.. I swear I’m up almost every hour on the hour. First and foremost, I LOVE BERF. I have no children and won’t be having them for a long time, but I find pregnancy fascinating. 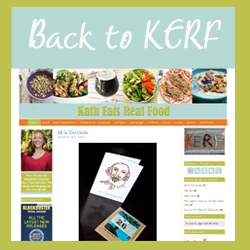 I already love KERF, but having BERF to read is such a treat! Keep up the great work. I can imagine all of the writing is challenging because KERF mostly relies on photography, not words. However, I did want to comment that I probably wouldn’t call “not being able to fall back asleep” insomnia… insomnia is a real problem that affects lots of people! I know.. My mom has it badly. I have been up during the night a few times too, but it’s early mornings when I cant seem to sleep. I said in the post I probably need to find another name for it. Im currently 36 weeks pregnant and go for a wee every 5 minutes for the first couple of hours that I go to bed, then seem to be fine till the morning lol. Im stunned and a little jealous that you can have medication!! Over in good old blighty we aren’t allowed to take anything. nadda. not a thing. I had sickness for the first 6 months and your more or less told that being pregnant is the most natural thing in the world and to get on with it lol! Im going to print some info off on these drugs and show them to my midwife and see what she says…should be interesting! I cannot even imagine being that sick for so long. I would have withered away. In Canada, the combination of medications that Kath has mentioned is actually produced and marketed as a single medication for pregnant women. It’s called Diclectin. A friend of mine who had severe nausea took it through her entire pregnancy and said it really helped. You’re a sleep rock star! I was lucky to get 3-4 hours a night from about 8 weeks on. My 4 hour nights felt like I had won the lottery. Pregnancy insomnia was the worst part of being pregnant. Way worse than the nausea and I’m sure it made that worse. Ugh. I did get to watch a lot of the Summer Olympics real time though-that rocked!!! During my first pregnancy, I went to the bathroom a lot during the night. However, that was when I was further along in the pregnancy. RIght now with my second pregnancy, I am not getting up in the night. But I am sure that that will change eventually. I’ve been waking up a lot earlier than usual (~5:30) because it’s actually getting light outside! maybe that is contributing to the wakefulness? I know I should start going to bed earlier so that waking up early is a good thing rather than annoying. I have enjoyed reading your prego posts and of course all of the wonderful recipes you share. I am 16 weeks now and super exicted to learn from others that I am not the only one with a swelling belly and body. It seemed like out of no where two weeks ago, the belly presented itself. It feels very real and totally cool…until you try to find something to where. I found that American Eagle jeans about two sizes bigger are working well for me, they are more of a stretchy material. In regards to feeling hungry and listening to your body is so very true as well. I am doing my best to eat well and incorporate all the foods that tasted bad or smelled bad during the first trimester back into my diet. I miss those leafy greens and raw veggies! My friend that shared your blog with me also gave me a bag of your Cville Cluster Granola that is one of my favorite granola’s of all time! I love the texture and once had a granola similar in Big Sur, CA and they added peanut butter. Will be ordering more from your store for sure! Thanks for sharing all you thoughts and congrats on your baby!! !